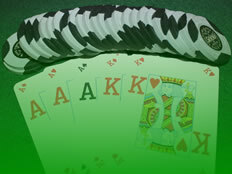 Review: If you are looking for a great set of cards to play your home games / tournaments with then look no further. These Copag 100% plastic playing cards are awesome. We used to buy $1 packs from Trade Me which if we were lucky might last 1 game - one set of these cards will last you for years! 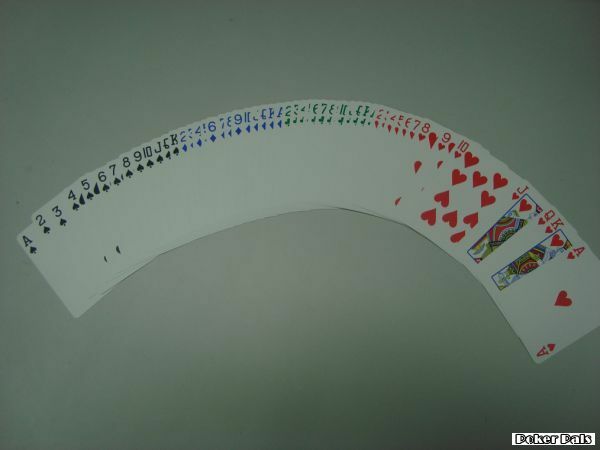 Unlike some of the cheaper plastic cards available, these cards also have a non smooth finish which means you can grip them easily for dealing and shuffling. This is important if you get fined for bad-dealing! Although I have never tried it, I beleive you can also wash these cards in a washing machine should you have a bit of drink spillage! 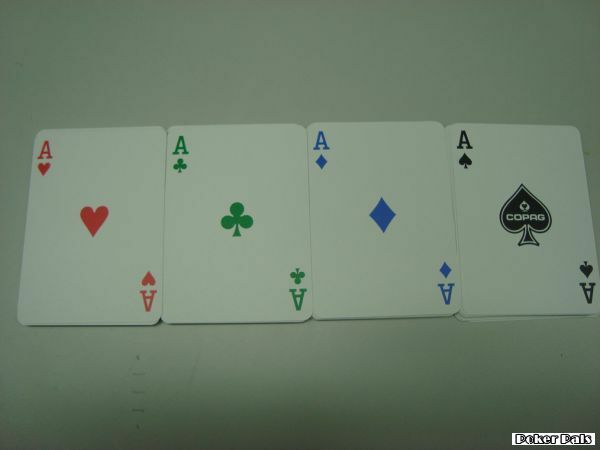 This pack has 4 different colours Red = Hearts, Black = Spades, Green = Clubs and Blue = Diamonds. This is done to make it easier for players to spot flushes. Although I am not a huge fan of the 4 colour sets, you can also buy the sets in standard 2 colour finishes. 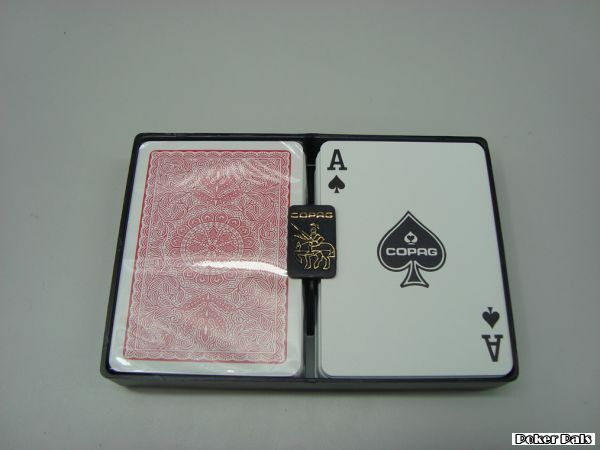 The cards also come in a nice little box which will keep the cards safe during transporting. I can't recommend these cards enough. Save yourself the money and hassle of buying a set of cards for every game and hope that no one "dog ears" a card to spoil the game. These cards will last and last and are fantastic value for money. Summary: I can't recommend these cards enough. Save yourself the money and hassle of buying a set of cards for every game and hope that no one "dog ears" a card to spoil the game. These cards will last and last and are fantastic value for money.